Open to all UK residents aged 16 and over. There is one prize per giveaway and only one entry per person. Closing date for entries is as listed on the Facebook post. Entrants must like or leave a comment on the Facebook promotional post – one comment per person. The winner’s name will be available on request and published on the Mandangle Facebook Business Page. The prize will be despatched within 7 days of the winner confirming their address and any relevant details like size, colour if applicable. The prize is no refundable and cannot be exchanged for any other Mandnagle product. 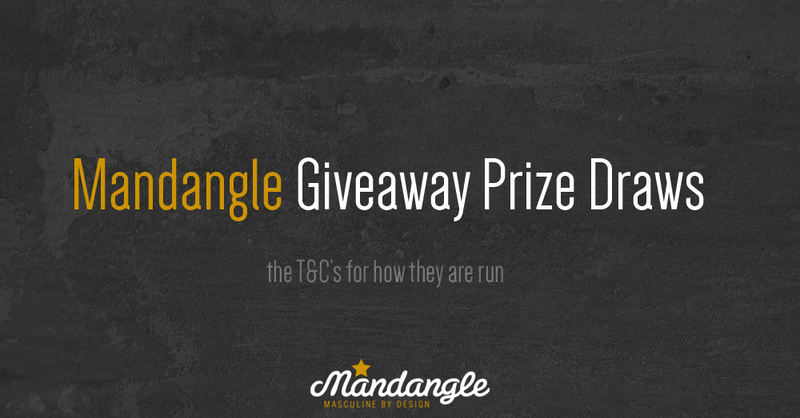 The promoter of the giveaway is Mandangle.